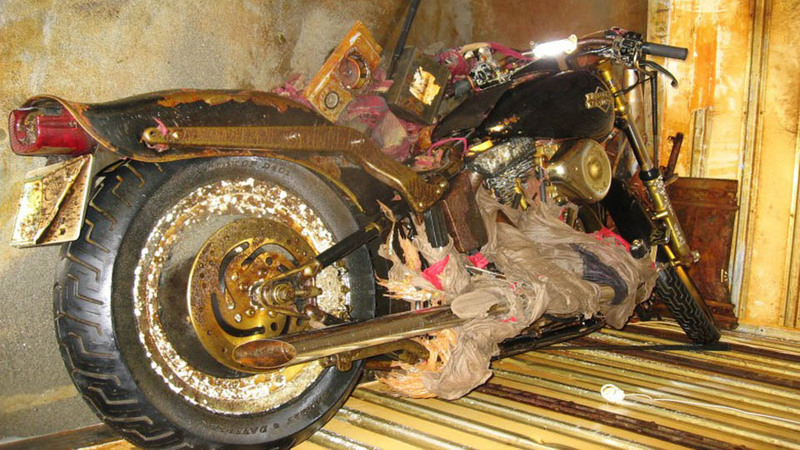 Here's some news that will brighten your day: While strolling the sands of British Columbia's Haida Gwaii Islands, a beachcomber recently found a Harley Davidson swept away in the Japan tsunami last March. He had no idea what had happened to the person it belonged to. But the story has a happy ending — the owner of the bike has been identified. And he's alive. After learning of the found hog, Harley Davidson used the VIN number to track down 29-year-old Ikuo Yokoyama, a resident of Miyafi Prefecture, the area hit hardest by the tsunami. The company is now arranging to ship the motorcycle, which save for some corrosion from the ocean is still completely intact, back home to Japan. As a result of the disaster, 11,000 people in that region were reported dead or missing. Among them were three members of Yokoyama's family. Sadly, he also lost his home and is still living in temporary housing, so the miraculous return of his Harley is a welcome reprieve.